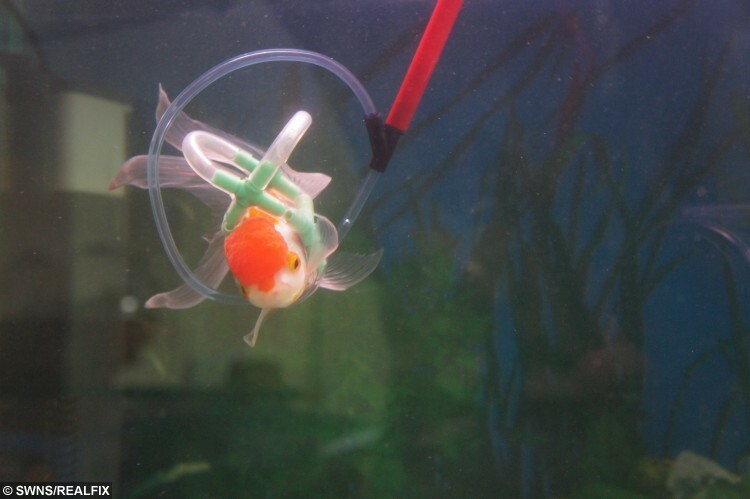 HomeAnimalsBizarreCuteMost PopularOwner invents a tiny life jacket to help his disabled goldfish swim! Owner invents a tiny life jacket to help his disabled goldfish swim! Life is going swimmingly for Einstein the crippled goldfish – after his owner made him a personal LIFE JACKET. The tiny Fantail lost the ability to swim after developing swim bladder disease, which caused him to turn upside down and sink to the bottom of his tank. 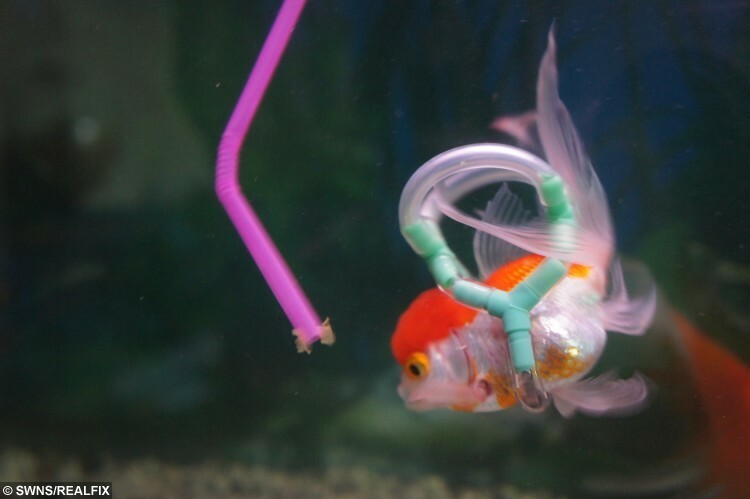 So worried owner Leighton Naylor made him a ‘floating frame’ from recycled tubing, which fits perfectly over the fish’s two-inch long body. After a few adjustments the four year-old pet – named after his ability to learn tricks – is now back in the swim. Warehouse worker Leighton, 32, said: “Einstein’s been suffering with ill health on and off for about two years. “He’s always been a fighter so when he sunk to the bottom one day and couldn’t get back up again it was a very sorry sight. “It broke my heart to see him so helpless. He looked so depressed. 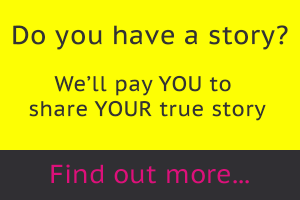 “I started looking at floating aids and saw one where an owner kept his koi carp afloat by attaching it to a wine bottle cork but that looked quite painful. Leighton, of Blackpool, Lancs., spent three hours designing the life jacket from fish tank aeration tubes, and adjusted the fit so it comfortably cradled Einstein. He added: “He wriggled a bit a first and he wasn’t too keen on the idea. The float means that Einstein cannot reach the surface to feed so Leighton drops him food through a tube which he lowers into the water. If the fish is particularly unwell he can pick him up with his little life jacket to make sure he gets the food. He said: “They’re one big happy family now, but he’ll have to wear it for the rest of his life. “People have said I’m crazy but every animal is a valued family member and I do my best to help every one of them. “He can already swim through my fingers and through hoops using a feeding wand. I was just getting him into fish football before he got sick. Swim bladder disease, also called flipover, is a common ailment in aquarium fish. The swim bladder is an internal gas-filled organ that helps the fish control its buoyancy. A fish with swim bladder disorder can float nose down tail up, float to the top of the water or sink to the bottom of the aquarium.